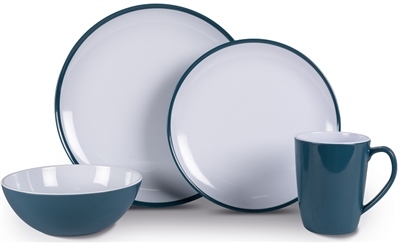 The Dusk Blue set, from the Heritage collection of melamine tableware, utilises a minimal yet eye-catching design. This 16-piece set, made of 100% melamine, is extremely durable, lightweight and dishwasher safe. This set is also available as individual items, (Mugs only in a set of 4).